“The mantras chanted in Amma’s ashrams at the end of arati and archana are called shanti mantras. Therefore to conclude each one, “shanti,” which means “peace,” is chanted three times. As a spiritual aspirant, one chants shanti in desire for the occurrence of circumstances conducive to a spiritual education. But these mantras can be chanted for peace in a general sense as well. Shanti is chanted thrice not for emphasis but because disturbances are of three distinct categories. In Sanskrit, these are referred to as adhi-daivikam, adhi-bhautikam and adhyatmikam. The third type of disturbance is the most powerful and, at the same time, the only one over which we have total control. Adhyatmikam means “disturbances stemming from the self.” For one who is still identified with the ego, the people, places and things of this world stimulate one of two reactions in the mind—attachment or aversion. Whether we physical see someone we consider our enemy as we walk down the street or remember him during meditation, the mental turbulence that results is the same. Lust, jealousy, anger, sorrow, hatred destroy our peace. During meditation, pleasant memories also distract us. Hearing the sound of a jet plane flying overhead may mentally carry us off to a fabulous holiday we once took. Only after 10 minutes of daydreaming do we realize we have lost focus on our object of meditation. 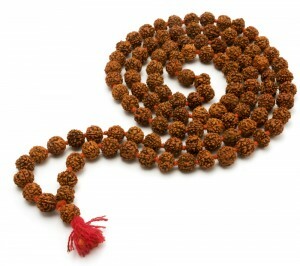 There is one more element to the three-fold chanting of “shanti,” and that is the silence that follows each repetition. If chanted properly, this silence is the emphasis: shanti… shanti…. shanti….